The Midnight Freemasons: Masonic Verse: Let's Go To Lodge Tonight! Let's Go To Lodge Tonight! 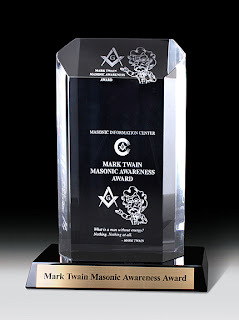 I got this piece from WM Greg Knott's Eastern Illinois Freemasonry blog. I thought it would give me a chance to thank Greg for the contributions he's made over the years to The Midnight Freemason. He's an excellent photographer, and I've used his photos many times over the years, and I'd like to thank him for allowing me to tap his vast collection. He travels quite a bit, and visits a lot of historic lodges and places of Masonic interest, in fact, I often get ideas for posts after looking at photographs he's taken on his trips. Greg is the Master of St. Joseph Lodge No. 970 (IL) and is a dual member with Ogden Lodge No. 754 (IL) and Homer Lodge No. 199 (IL). He is also Master of Ceremonies in the Scottish Rite Valley of Danville (IL) Lodge of Perfection (and editor of the Valley newsletter), and is the Secretary of the newly formed Illini High Twelve. Then there's the York Rite, Shrine, etc. A former Eagle Scout, Greg is also a Scout Master, and very involved with the Boy Scouts of America. He serves Our Grand Lodge of Illinois as their representative to the National Association of Masonic Scouters. One of these days, I'm going to get him to guest contribute a piece on here about Freemasonry and scouting--if Cory Sigler from The Working Tools Masonic Magazine doesn't beat me to it. Of course, I also wanted to show off the photo of St. Joseph's lodge room above. The members of St. Joseph Lodge No. 970 have done a lot of work on their building over the last few years, including the new carpet and tile in their lodge room. In fact, they've helped to inspire another local lodge to do much the same thing. Looking at the photo, it's hard to believe that lodge is over a hundred years old--isn't it? Of course, those old buildings are built like a brick. . . well, suffice it to say they're very solid. UPDATE: I failed to mention before that St. Joseph Lodge No. 970 recently won the Mark Twain Award from the Masonic Services Association--the first lodge in Illinois to have ever won the award. A very impressive honor. You can read more about that here.